On Sunday 12 July the Fressingfield Oily Rag Club held the annual Peter Andrews memorial sprint event at Woodbridge in Suffolk. 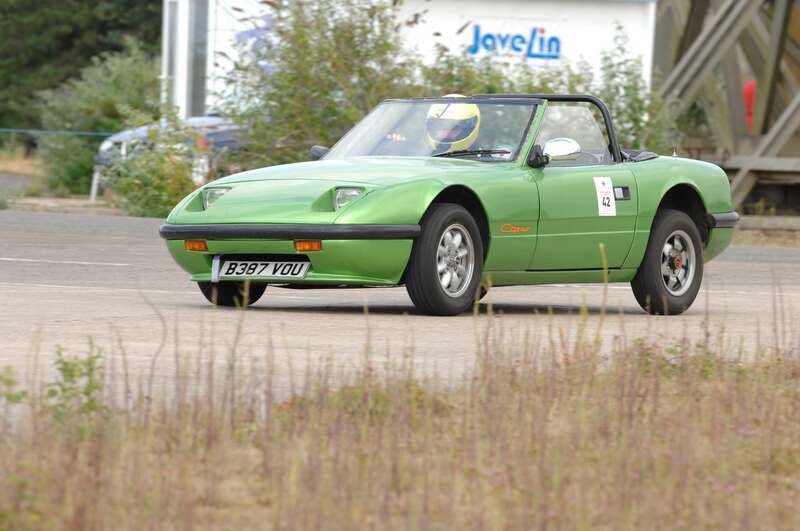 Organised in conjunction with Javelin Track days a wide range of cars gathered to take part in the event. Joining them was the green Cipher. 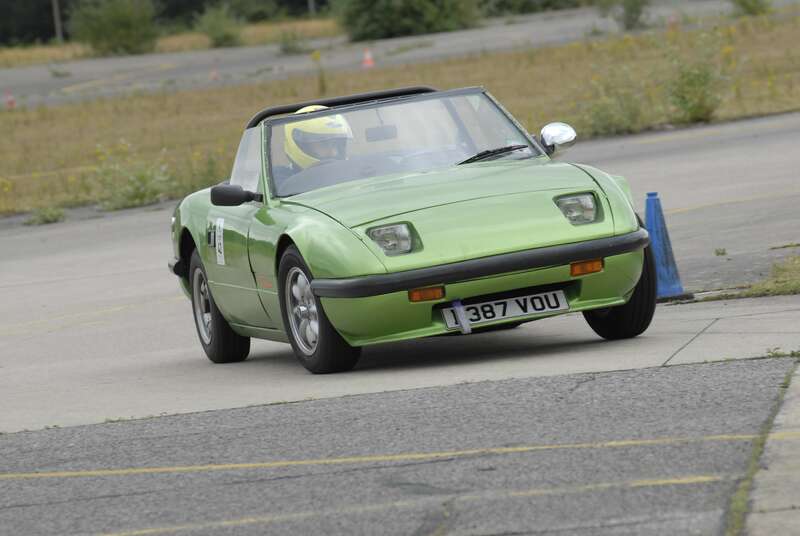 In the paddock the 40bhp Cipher was sandwiched between an Audi R8 GT producing a somewhat intimidating 520bhp and a Mazda RX8 at 232bhp so no challenge there then. However the day was about having fun and the Cipher managed that with ease. 8 runs completed on the day with the final 9th run resulting in being towed back to the paddock due to a failed throttle cable. Overall 46th out of 50 but a brilliant day out and being fastest was never the prime aim of the day, though perhaps more power might be good for next year. Almost 500 classic cars and high performance motors participated in Stratford Festival of Motoring this May bank holiday weekend. 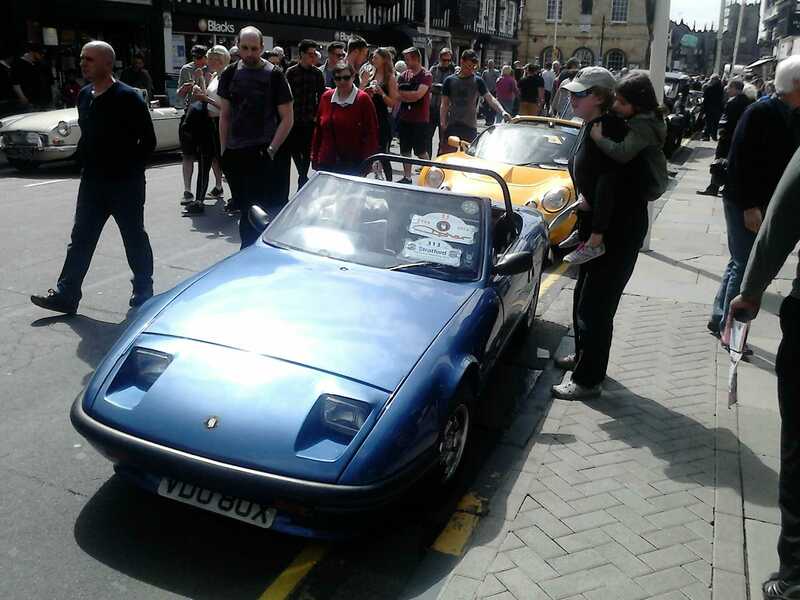 People flocked into town to see the cars and soak up the sunshine. Simon Fitch owner of the blue Cipher was among those displaying their cars. 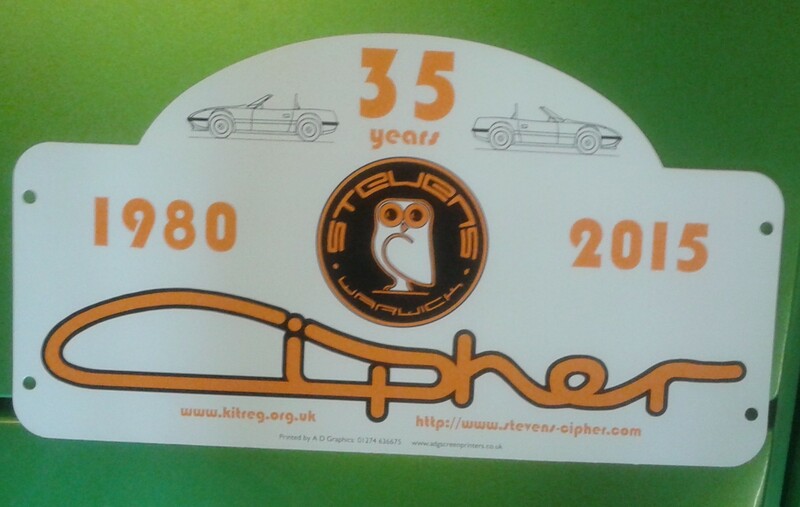 As it is 35 years since the release of the cipher, we have had a set of Cipher 35 rally plaques made up for our Ciphers to wear at any event it goes to this year - or alternatively for a birthday snapshot if its not on the road, as it would be great to have some.